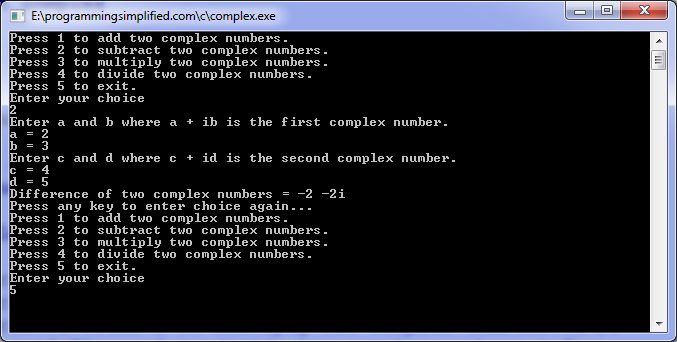 C program to add, subtract, multiply and divide complex numbers. It is a menu driven program in which a user will have to enter his/her choice to perform an operation and can perform operations as many times as required. To easily handle a complex number a structure named complex has been used, which consists of two integers, first integer is for real part of a complex number and second is for imaginary part. Download Complex numbers program executable.